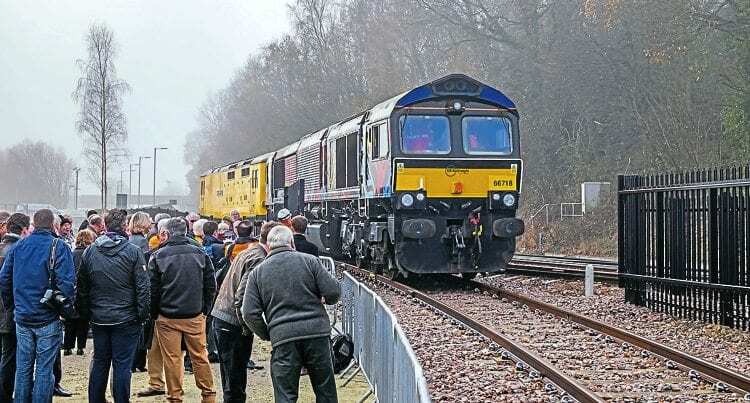 THE Rother Valley Railway (RVR) has become connected to the rail network once again after Network Rail chairman Sir Peter Hendy opened new sidings on December 6. The sidings will be used to store Network Rail engineering trains, but also provide a connection for the RVR, and is another step in the Kent and East Sussex Railway realising its aspiration to restore the missing link between Bodiam and Robertsbridge. The new connection will be used to deliver materials.